Janet Edmonds creates amazing textile pieces inspired by the artists Chuck Close, Van Gogh, Kandinsky, Matisse, Hundertwasser, John Piper and Giorgio Morandi. She outlines each artist's work, sharing what inspires her, then creates a series of artistic projects using various media and techniques, exploring this inspiration. These works lead in each case to a stitching project, with a stitch sampler to introduce each one. 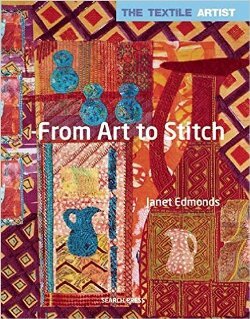 Janet's finished textile pieces include stitched squares, a portrait, a purse, a landscape, a box-framed 3D piece, embroidered boxes, stitched panels with castings and more.